What do an American writer, Swedish professor, Spanish arts manager and German psychoanalyst have in common? They were all born in Russia, spoke Russian and knew the culture, but left their motherland before becoming world-famous abroad for different reasons. Who would imagine that 20th century American writer and philosopher, the author of Atlas Shrugged, was actually a Russian film school student who dreamed of making it in Hollywood? 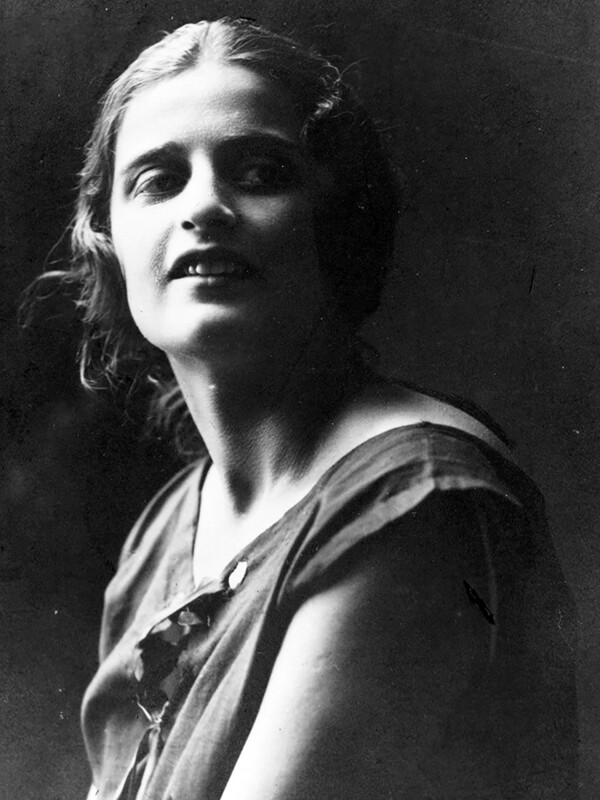 Alisa Rosenbaum, later known as Ayn Rand, was born in St. Petersburg to a Jewish family from where she emigrated when she was 20 years old. Alisa's father was the owner of a pharmacy, which was nationalized after the Russian revolution – a fact that clearly influenced her later philosophical views. She had studied at film school in the USSR and later applied for an internship in the USA. Her aunt had immigrated there before the revolution and agreed to host her for a few months. To everybody’s surprise Alice got permission to leave for her internship, which was a rare case during the Soviet times. The young woman quit her family and motherland in order to follow her dream. She wanted to make a career in Hollywood and changed her name to Ayn Rand, but the film industry was not to be her destiny. Ayn Rand gained world fame after her novels The Fountainhead and Atlas Shrugged were published. Passionate hymns to freedom, individuality and reasonable egoism, her books have become a reflection of Rand’s philosophy, which later had a major influence on the U.S. libertarian movement. 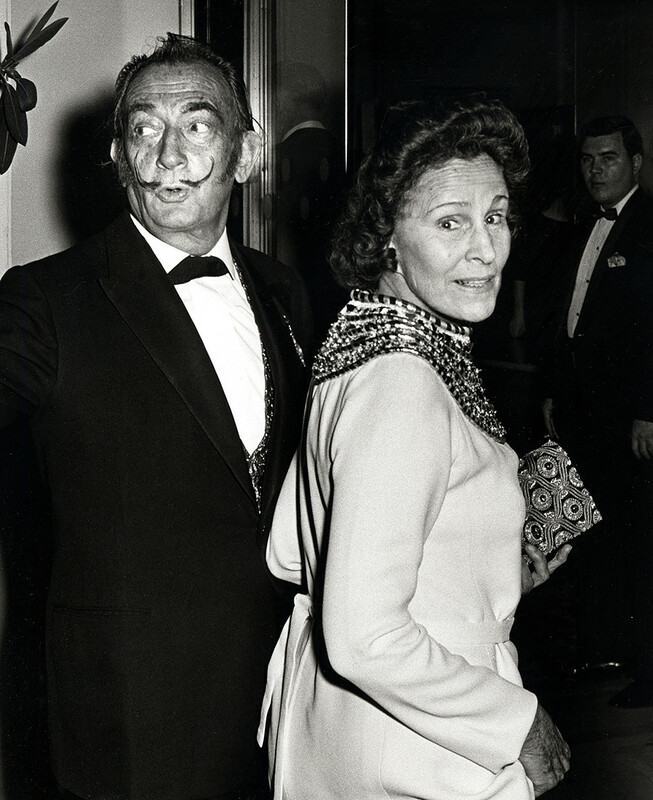 During his artistic career Salvador Dali acknowledged that he owed his success, fame, and glory to his muse and manager, Gala Dali: "I love Gala more than my father, more than my mother, more than Picasso. And even more than money! Thank you, Gala!" Elena Diakonova was born in Kazan, into the family of a clerk, before the family moved to Moscow, and in 1912 the young woman went to a sanatorium in Clavadel (Switzerland) to be treated for tuberculosis, where she met the great French poet-to-be Paul Eluard. They were soon married and moved to France. A few years later German avant-garde painter Max Ernst joined the family and they started living together. It was at this time that Elena started to use the pseudonym Gala. 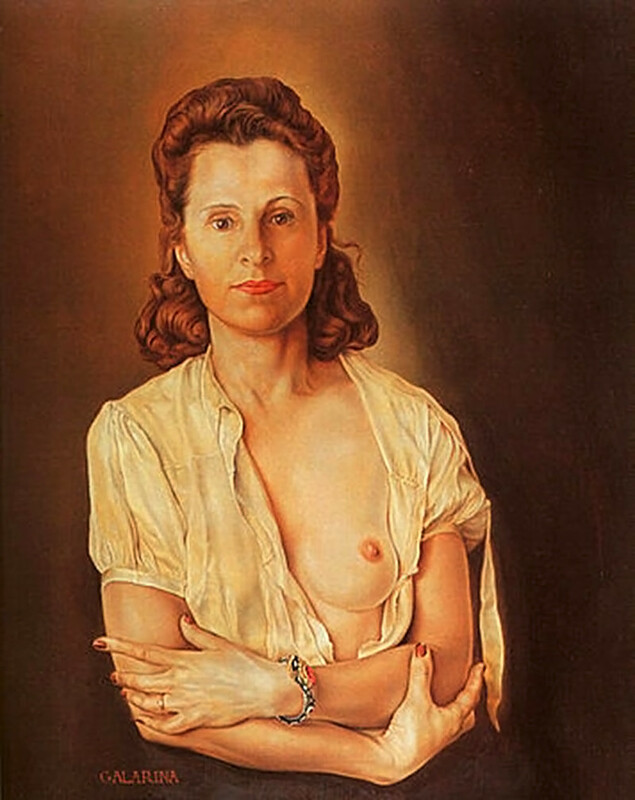 "Galarina", portrait of Gala Dalí by Salvador Dalí,1944. In 1929, when she was 35 years old, Elena met Salvador Dali, who was then 25, and she fell in love with the young and talented painter. She became his wife, the only model for his paintings, his manager and promoter. Gala tirelessly paid newspaper critics and roamed galleries to promote Dali, collected an army of fans, constantly talked about the genius of her beloved husband, and achieved great results. In the 1930s Dali's paintings would sell out within half an hour of an exhibition opening. The artist himself started to believe in his genius and became the father of surrealism. Luiza Salome is known not only as a writer, philosopher andpsychoanalyst, but also as a ‘femme fatale’ of the European society of her time. 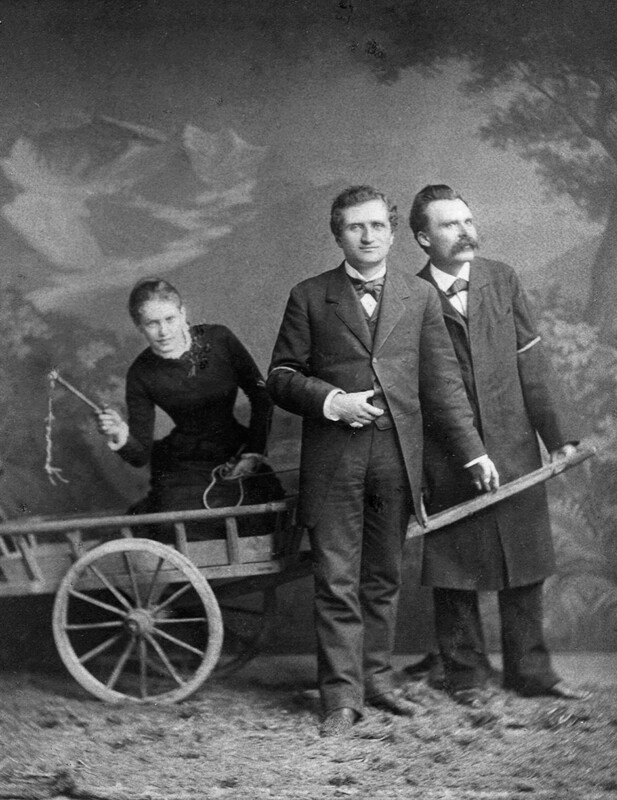 She is said to have made Nietzsche crazy: after their relationships the philosopher never married and ended his days in an insane asylum. Salome is also ‘guilty’ for making Rainer Maria Rilke fall in love with Russian culture, learn the language, meet Leo Tolstoy and write some of his most beautiful lyrics. And yes, it was because she was born in Russia! Being a talented writer and scientist, this woman had strong feminine charm, making men fall in love with her and influencing their philosophical and creative ideas. Salome was born in St. Petersburg to a family of a Russian aristocrat of German origin. After the death of his father, Salome moved to Switzerland in order to get higher education (in Russia it was forbidden for women at that time). In Europe Salome joined elite intellectual circles, wrote novels and poems, and realized her brave feminist views with her own lifestyle. In 1911 Salome met Sigmund Freud and dedicated 25 years of her life to psychoanalysis. 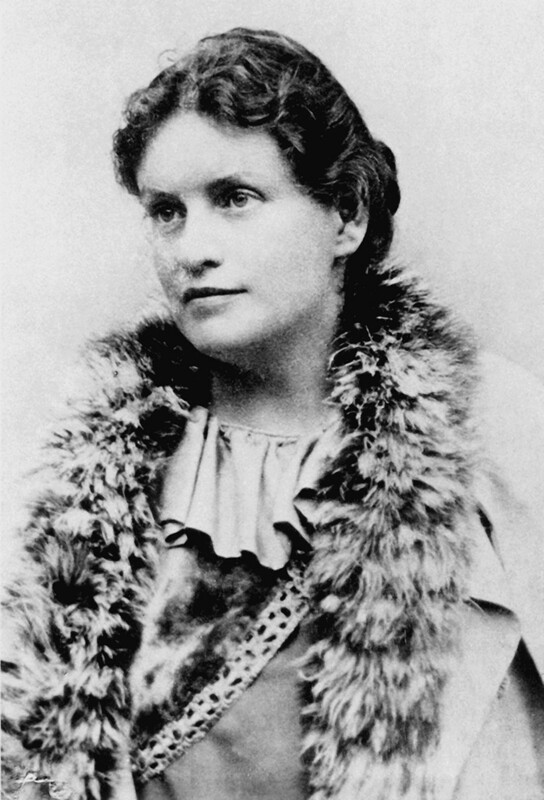 She wrote books, the best known of which is Eroticism and more than 130 articles on this subject; she also had a psychoanalytic practice in Goettingen, Germany. To follow her dreams and make mathematics her profession, this women was forced to contract a fictitious marriage, but it was not in vain. Sofia Kovalevskaya became the first female professor of mathematics in the world. In Russia at the end of the 19th century women did not have the opportunity to enter higher education. In order to continue her education abroad, a woman needed written permission of her parents. Kovalevskaya wanted to study math, but her father was against the plan. The young woman persuaded a family friend, the biologist Vladimir Kovalevsky, to contract a fictitious marriage so she could escape from the influence of her father. He agreed, and together they put the plan into practice. The couple went to Heidelberg, Germany, where Sofia studied in a local university. After that Kovalevskaya continued her math education in Berlin. 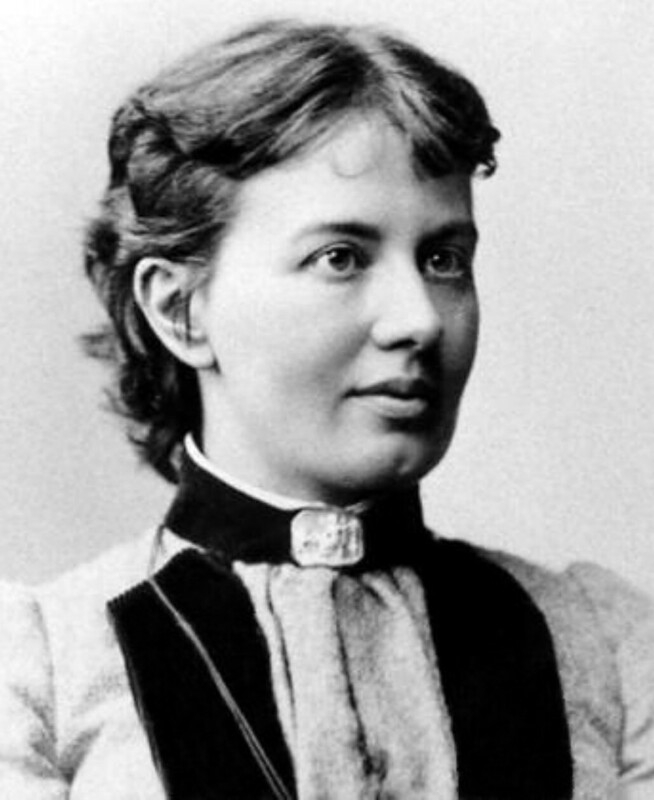 Sofia Kovalevskaya defended her doctoral dissertation on the theory of differential equations with honors. She became the first female mathematician in Russia and the first female professor of mathematics in the world; she was also a talented writer and novelist. After the suicide of her husband, Kovalevskaya moved to Stockholm, where with enormous effort she won a place at the University of Stockholm. She became a professor at the Department of Mathematics at the University of Stockholm, where she gave lectures in German and in Swedish.